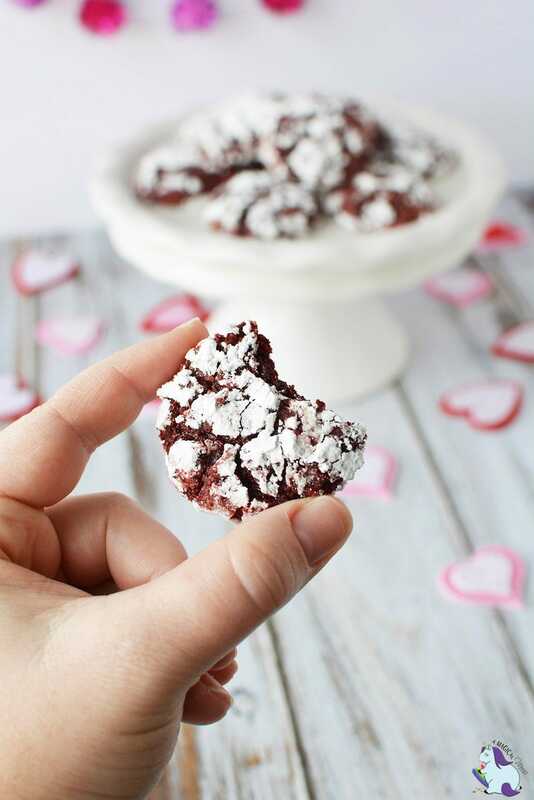 Here is a red velvet crinkle cookie recipe that requires only four ingredients. 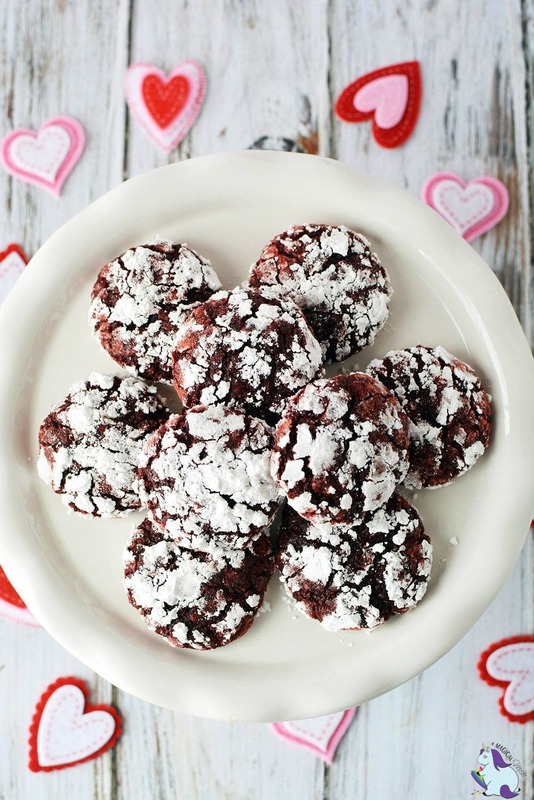 The red color makes these cookies perfect for Valentine’s day and Christmas. The fact that you only need four ingredients makes them ideal for any time you’re craving a red velvet cookie. If you love cake mix cookies, definitely give this recipe a pin. No holiday necessary to enjoy the rich flavor of red velvet. However, the red color makes these tasty treats a popular go-to during the season of love. A lot of people prefer the texture of cake mix cookies. Using cake mix to make cookies is not only a shortcut, but the cookies are fluffier and fun to sink your teeth into. 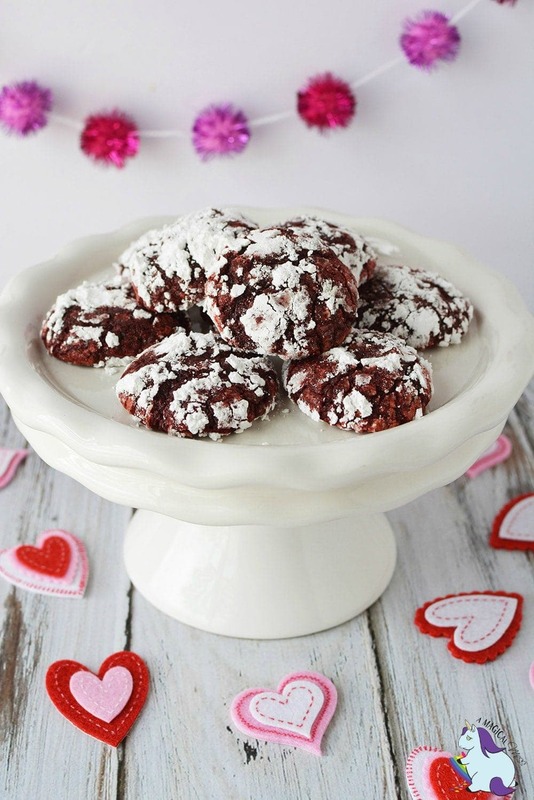 It’s almost too easy to make these crinkle cookies. Since one can commonly find these four ingredients in many cabinets, you can whip a batch of cookies whenever the craving strikes. Here’s another cake mix cookie recipe to feed your inner cookie monster. If you want more Valentine’s day desserts, we have those too. No special occasion necessary to bake up some red velvet cookies. 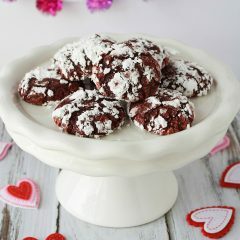 However, the red color makes these cookies extra fitting around Valentine's day and Christmas. Mix cake mix, vegetable oil, and eggs together in a mixing bowl until combined well. Use a tablespoon portion scoop to scoop out dough and place into a small bowl of powdered sugar. 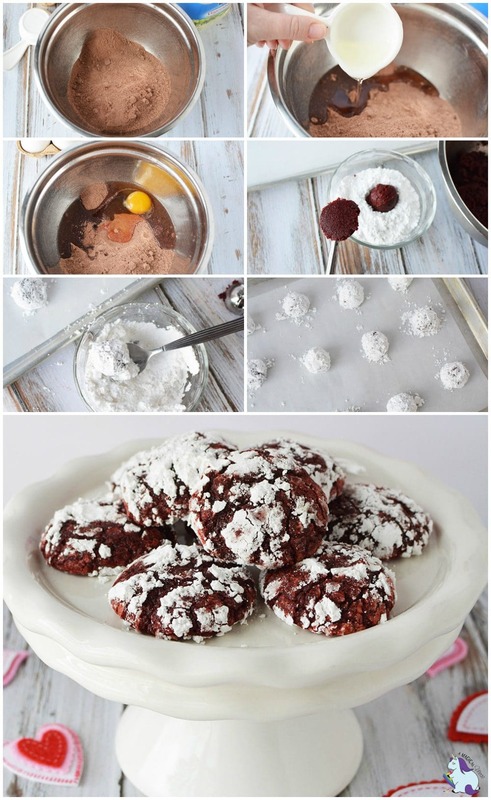 Generously coat the cookies with powdered sugar (I cannot stress this enough!) and bake for 10-12 minutes or until center is set. 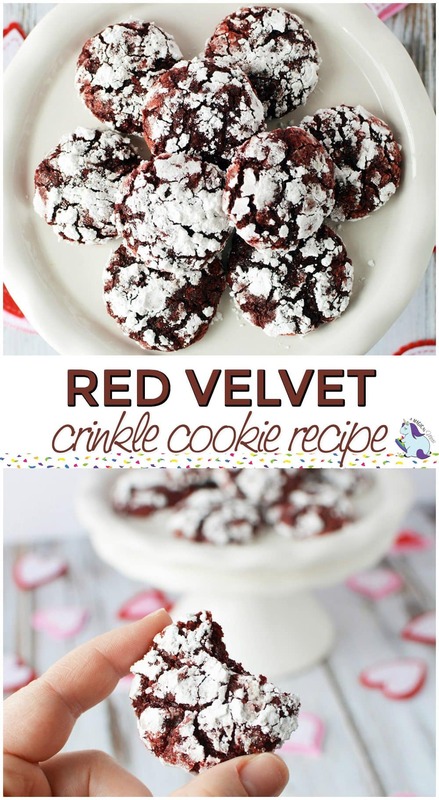 Do you think you’d like this red velvet crinkle cookie recipe? Super easy ! Wow ! Must try I have all ingredients ! Yay ! Oh my gosh I’m drooling over here. They look so great! I don’t consider myself a baker, but even I could make these cookies. These cookies look absolutely wonderful, tasty and fun! I would enjoy them. These look so moist and tasty! What a delicious treat! These look delicious. I will have to make these for my family. I love these cookies. I am always looking for new cookie recipes which are different yet easy to make as well. I am going to try making these!